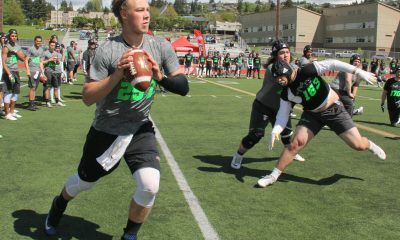 One of the best Coaches for developing athletes in Seattle is Scott Laigo at ASD. 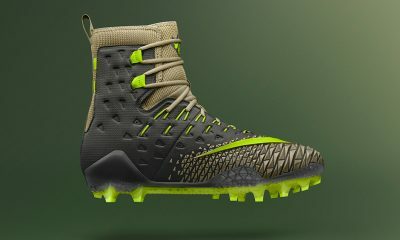 His group works on the the total player with an emphasis on academic success to compliment athletic prowess. 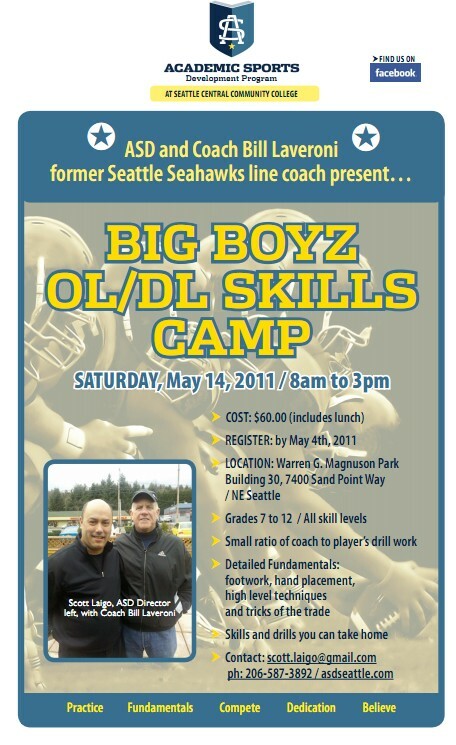 In a unique offering Scott has arranged for legendary line Coach Bill Laveroni (Seattle Seahawks) to host a one day intensive line skills camp. If you a linemen in the Pacific Northwest get to this camp! Coach Laveroni has an amazing career stretching back to 1967, 1968, and 1969 where he was the starting center for Cal. From 1972 – 1978 he began his coaching career at two top rated California High School’s. He then moved on to college coaching at Cal, Utah State, San Jose State, and Vanderbilt. he has coaches every position but became over the many year a specialist in the line positions. His expertise took him into the Arena Leagues and then to the Seattle Seahawks. Laveroni was the Offensive Line Coach for the Hawks from 2002 to 2007. He is heading to the United Football League to become the Offensive Line Coach for the Virginia Destroyers. He was called out there by his friend and Head Coach Marty Schottenheimer. This will be a new and exciting chapter in Coach Laveroni’s life. “ASD and myself feel very fortunate to have someone like Coach Laveroni to lead us in teaching the fundamentals and about how to be the best lineman you can be. 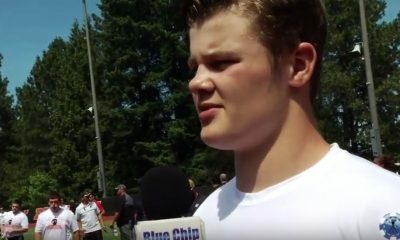 This will be a unique opportunity for linemen wanting to be the best,” said Scott Laigo who heads up the ASD program. There is an old saying that “To be the best you have to work with the best” and that was never more true. WashingtonPreps and our staff applaud ASD for putting together this camp and think any linemen in the region could sure benefit from it. 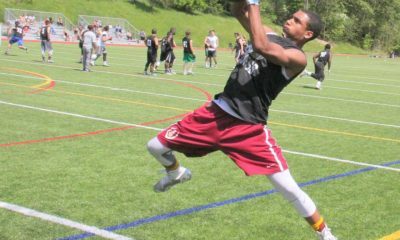 More info and registration is available at http://asdseattle.com/ or by calling Coach Scott at the numbers listed above.